Duels of the Planeswalkers 2015: Full Deck-Building, But At What Cost? The latest installment of the video game version of Magic: the Gathering, Duels of the Planeswalkers, gives players the one thing we've always wanted – the ability to build our own decks from scratch. But the addition of "premium boosters" that cost extra money might completely outweigh it. DotP 2015 is a $10 game that really costs $40. While you're now allowed to build your own decks from a collections of cards you unlock as you play through the game, there's a subset of cards only available in $2 "premium boosters" that aren't unlockable in any other way. To collect every card in the game (and thus take full advantage of the ability to build decks), you have to spend an extra $30 to buy 15 premium boosters. The only silver lining here is that you're guaranteed to get all the premium cards with the extra $30 – it isn't completely random. This is an absolute garbage decision and is enough to make me say, "I do not recommend this game," despite it otherwise being the best Duels of the Planeswalkers edition yet. A huge segment of the fanbase for this game is people who want to play some Magic and loved being able to buy a single product and not have to worry about buying an endless supply of booster packs. It doesn't matter how much of a grind it was to unlock every card, it was part of the fun. I would personally play 1,000 games to unlock random booster packs in hopes of getting that one card I want, but I'll never pay for them. You could argue that this is still a game that gives you everything for one price, but if that price is $40, there's no way it's worth it. At $20? Sure. But the campaign is nowhere near deep enough, and there are limited game modes (flawed as they were, Planechase and sealed at least gave you something different to try now and then). You'd have to really love playing against online opponents for your $40 game to have any value. For this crap decision that basically negates the entire purpose of Duels of the Planeswalkers existing, I say again, I do not recommend this game. This is compounded by the fact that the game is otherwise really great in a lot of ways. Getting to build your own deck totally from scratch, or starting with some of the base decks provided, is very cool and a logical step on the ladder for newer players. Someone who's never played paper Magic could get a taste of the creativity and intellectual challenge involved and want to move to the tabletop. There's a slightly weird restriction on cards whereby instead of the usual four copies of a given card per deck limit, you can only have one mythic rare, two rares, three uncommon. But aside from that, you can do whatever you like. Three-color decks? Five-color decks? Go for it. Aggro, control, ramp? All possible. What I especially love is that we have actual, functional non-basic lands. In previous editions we had cards like Evolving Wilds (that the AI never understood how to use properly). Now we have Guildgates, shock lands, and even original dual lands – the final boss Garruk deck has a set of foil Bayous. This makes building multi-color decks so much fun. 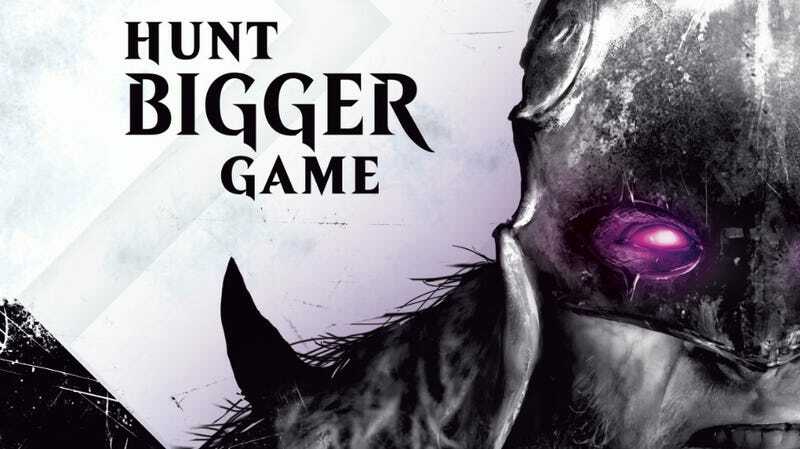 The single-player campaign is a short romp through a bunch of Magic's more popular planes hunting down a Veil-Cursed Garruk via a ramshackle plot that's best ignored. The one thing that makes the campaign more meaty is that this version of DotP is significantly harder than prior versions. This is mainly due to the AI decks having better cards to use against you at higher difficulty levels. I actually had to turn down the difficulty level to get through the campaign in a timely manner to write this review, something that was never an issue previous years. I definitely consider that a plus. Once you've completed the campaign, you can go back to each plane to unlock more booster packs (not the premium ones, of course). Packs are tied to each plane, and you can go into the card collection screen, see which cards you're missing and which planes you'll find them on (oh, you'll also see which cards are "available in a premium booster," a constant middle finger if you choose not to buy in). I suspect these packs are not random, they seem to unlock in a specific order. So you'll grind out a few extra games per plane and eventually unlock all the "free" cards. Gameplay is largely unchanged. Life totals and other game data are larger this year, so things are easier to read. A lot of the screen space feels under-used – I think the cards themselves could be larger. There are overly dramatic sound effects reminiscent of mid-90s Mortal Kombat, but I shut off the sound and listen to music while I play anyway. Although watching Garruk's silly aggro cutscenes to the tune of some Allman Brothers was good for a laugh. There's an odd new animation whereby attacking creatures move into this sort of red chasm that opens in the center of the screen. I find it annoying. The game does look very nice on PC (I did most of my playtesting on Xbox) – at high resolutions everything looks quite crisp, although the menus are easier to navigate with a control pad than with a mouse. One other thing I noticed: the card Triumph of Ferocity, when originally published in paper form, depicts a musclebound man with his hand around a woman's throat, about to punch her in the face, with flavor text suggestive of murder-suicide. I felt at the time this went way over the line in depicting violence against women — regardless of context, that is a horrendous image and message to show to younger Magic players, male or female. Wizards never addressed it. That card appears in Duels of the Planeswalkers 2015 with different art that simply shows an enraged Garruk. Regarding Triumph of Ferocity: Wizards and I apologize for the upsetting situation related to card imagery. In light of the community conversation it can clearly be viewed in a way that is in direct opposition the brand image we strive to maintain. This was absolutely not our intent, but intentions don't override the real emotional reactions our fans have. While the bigger story provides context, individual cards are seen in isolation. That is the standard each card needs to live up to. In hindsight this story point could have been depicted in a less real-world related and emotionally charged way. We will take this as a learning opportunity and strive to do better in the future. This is one of the more glitchy editions of DotP. Whenever I defeated the boss of a plane, the game would hang instead of progressing to the next screen, and the only way forward was to back all the way out to the main menu, then re-enter the single player campaign. There have been other weird glitches too, including games freezing and the game outright crashing. Overall, Duels of the Planeswalkers 2015 is a damn shame.